Edvīns Bērziņš has MA in Law and MBA degree of the Norwegian–Latvian Professional Master Programme “Innovations and Entrepreneurship” (Riga Technical University, RTU). In 2016, he has graduated the Professional Board Member Education Program at the Baltic Institute of Corporate Governance (BICG). He has been Head of International Relations Department in the Police Academy of Latvia, has worked as Legal Consultant at “Lattelecom” ltd., Head of Legal Department in “Latvijas kuģniecība AS”, has been Member of the Board at “Latvijas kuģniecība AS”. Since 2011, he is a member of the Board at “Latvijas dzelzceļš” VAS. During 2015, Mr. Bērziņš took the position of Interim CEO of the joint venture “RB Rail AS” (project Rail Baltica) and now holds the position of the Chairman of the Supervisory Board at “RB Rail AS”. 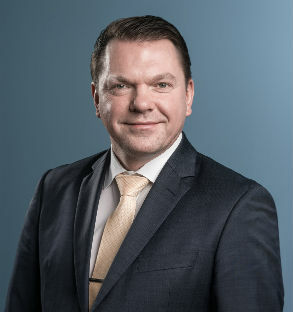 Since 2016, he acts as Chairman of the Board at SJSC Latvijas dzelzceļš. He is also Vice-President of the Employers’ Confederation of Latvia (LDDK), Presidium Member at the Latvian Chamber of Commerce and Industry (LCCI), Member of the RTU Advisory Board, Council Member of the LCCI, Chairman of Latvia-Belarus and Latvia-Kazakhstan Councils of Business Cooperation, as well as Member of the Councillors’ Convent and Member of Law Faculty Dome at Turiba University.